Home » LMD Disaster Survival Kits & Supply "Your One Stop Disaster Preparedness Store"
preparetoday's booth, featuring 104 items, including 10 - 12 Hour Glow Stick. A notification has been sent to preparetoday about your wish to chat with them. If they are available, they should be around within 5-10 minutes. 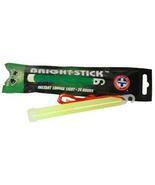 LMD Disaster Survival Kits & Supply "Your One Stop Disaster Preparedness Store"
Showing 1 product in "Glow Sticks"